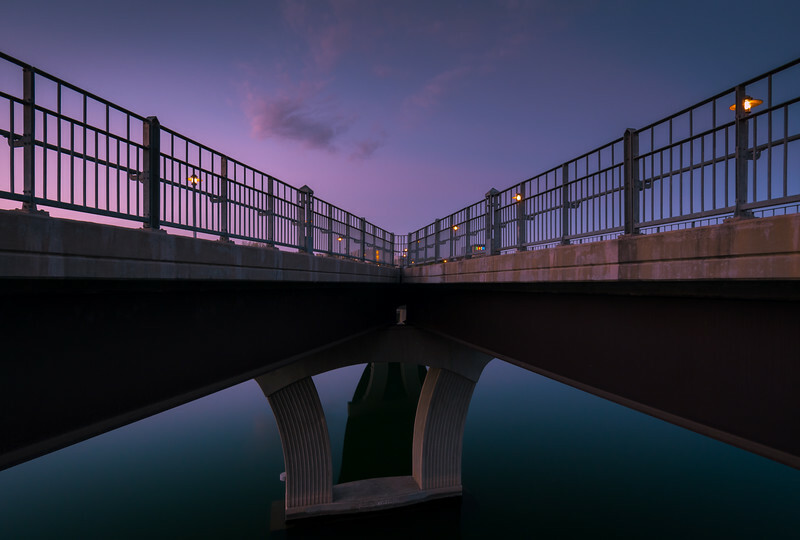 Looking back at the Pfluger Pedestrian bridge at sunrise. At the halfway point of the staircase to the Pfluger Pedestrian bridge, there is a nice little overlook that looks back on the bridge itself. This image was taken at sunrise, with no wind affecting the reflections.